So, when I pick up my comics, which is about once a month, I usually have a fairly large stack waiting for me. The stack contains all sorts of titles from most of the major publishers. Until this series, I was not a Superman fan. However, Max Landis has made me a believer. This run is currently on issue 3 of 7, and each issue, while written by Landis, is drawn by a different artist. 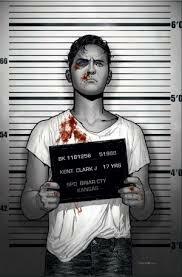 Each issue can stand on its own, for it tells a small snippet of Clark Kent’s growth as a person and a hero. It’s outstanding. My students love it. You will too. Pick it up, and read it…like now! 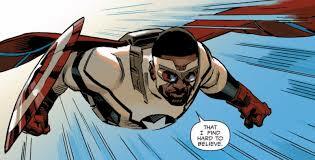 If you read my blog, you know that I am a big fan of Kamala Khan. She’s the coolest. The Pakistani American Muslim teenage female breaks all sorts of ideas of what a super hero can be. 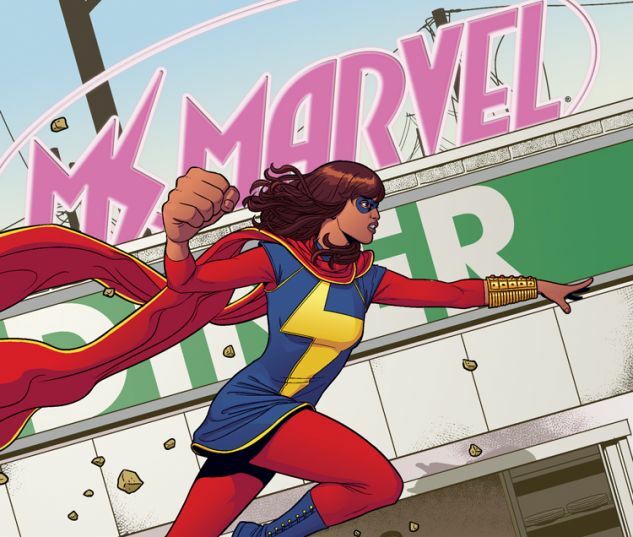 The cast of characters in the book is great, and while the new story run feels a bit similar to the last, Ms. Marvel is a favorite of mine and my students. Plus, a Ms. Marvel poster does appear on Alex’s dorm room wall in the hit television show Modern Family! How cool is that? 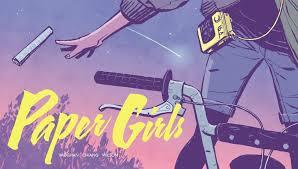 This strange comic is set in 1988, and it follows a group of teenage girls and their paper route. However, the reader quickly realizes that this book is about much more. The girls’ town is invaded by aliens (from the future? ), and the girls need to figure out how to survive. Not for the faint of heart. The comic is currently on issue 4. It’s wild, and when I get a copy, I absolutely cannot put it down. The art is cool, and the story is written by Brian K. Vaughn. If you dig the 80’s, a strange plot, and weirdo futuristic aliens, check this one out. 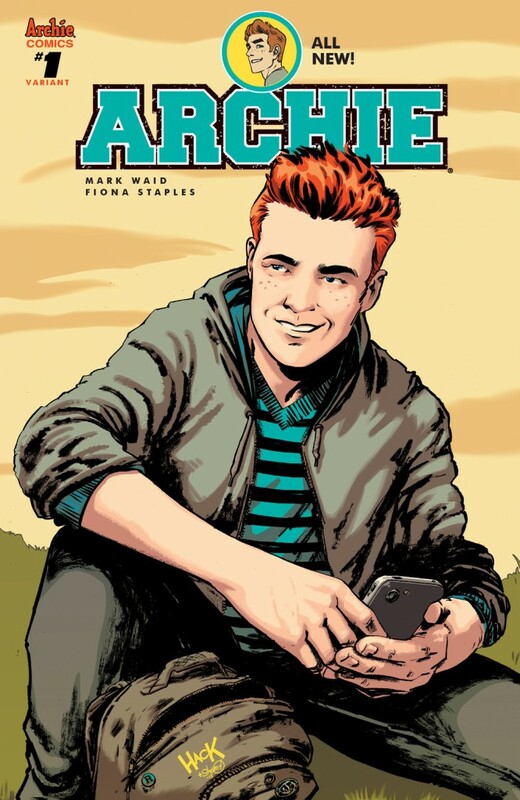 I love the new run of Archie! These issues cannot come out quickly enough, and my students can’t seem to put them down. It’s a modern, hip, funny, well-written book that needs to be read. My only problem with the book is that the back matter takes up too much space, limiting the story content in each monthly issue. If you have students looking to explore a new title, put this book into their hands, and see what happens. I think I have 7-10 kids in each of my comics’ classes that scrap for the new issue when it comes out. The book is great, and if it’s creating controversy like this, you know your students are going to love it. It’s cool, well written, and current. You need a book like this on your list of must-reads. There you have it…a quick run-down of my first reads for this month. I hope this list encourages you to go out and pick up some of these amazing titles! Start with episode one to find out who we all are! And as always, please feel free to contact me with any questions, comments, suggestions.